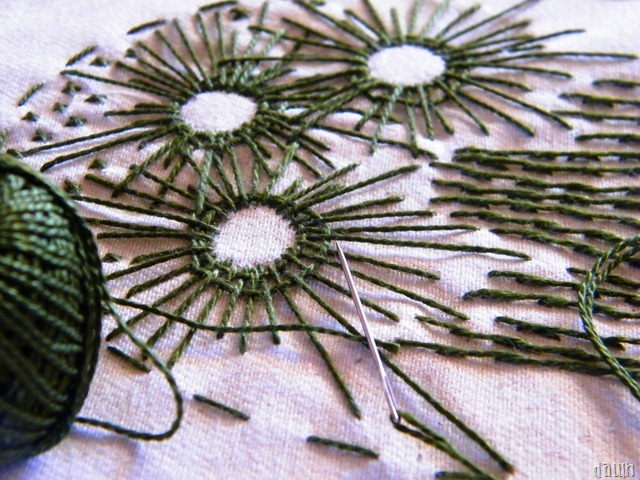 I’ve been thinking about needlework, reading about needlework and immersing myself in all things needlework this week. You know, because I’m a printmaker.I know, they don’t exactly look like printing plates, but they are. Yes, my old nemesis, the collograph has reared it’s ugly head. 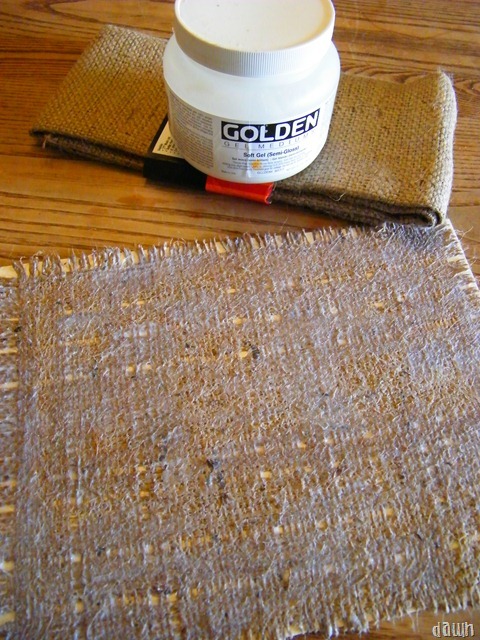 This first plate is simply a piece of burlap glued onto mat board. I pulled some threads around the edge and throughout to “lighten” the weave of the fabric then sealed it with several coats of acrylic medium. I will ink this up and print it onto paper to make the paper look like fabric. I know, the opposite of what I’ve been doing lately which is literally printing on fabric. If this works out then on to step two, which let’s just say, involves cutting a ton of little x’s out of speedy cut. This little piece of free style embroidery (aka I just stitched while watching “Community” with no design or plan in mind) will also get the collograph treatment. I’ll glue it to a piece of mat board and seal it with acrylic medium. That is why I stitched it all in one color because I’m just going to wreck it, it isn’t meant to be a piece of embroidery per se. I have to say, stitching with the knowledge that it is just going to get soaked in glue is very freeing.